Some buttons of the headphone may not work on Apple smartphone. You need a OMTP converter adapter, then buttons will work fine. 1. 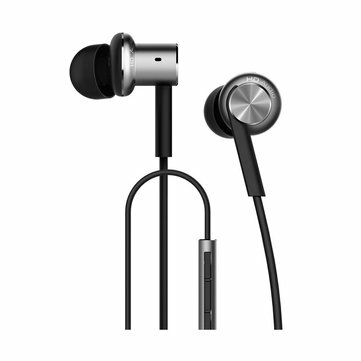 Original Xiaomi in-ear hybrid dual driver earphones. 2. Dynamic and two balanced-armature drivers, for detailed sound. 3. More professional tuning mode with super fine and sophisticated design. 5. Come with 3 pairs of S / M / L size soft silicone eartips for comfortable wearing experience. 4. Cable control high SNR 58dB microphone, better noise cancellation for clear calling quality.